Published: April 4, 2018 at 07:49 a.m. Updated: April 4, 2018 at 09:44 a.m. 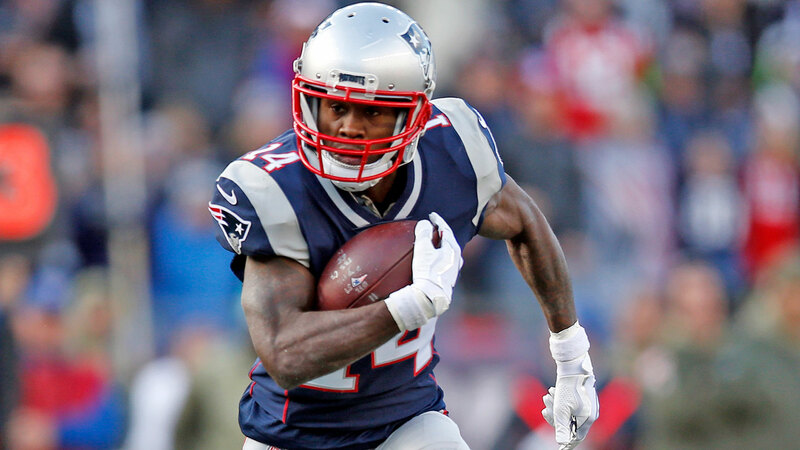 The Los Angeles Rams traded for Brandin Cooks on Tuesday, but the receiver had already been building up a rapport with his new quarterback. NFL Network Insider Ian Rapoport reported Wednesday that Cooks and L.A. quarterback Jared Goff had already been throwing together this offseason, building up their chemistry. It's not unheard of for a QB and receiver from different teams to link up in the offseason -- especially ones represented by the same agency. Any reps together will be to the Rams' advantage when workouts kick off this spring. The duo could also have had some idea that they might eventually end up on the same squad. The Rams have been attempting to acquire Cooks for more than a year before finally pulling the trigger on the move Tuesday. Rapoport reported L.A. tried to trade cornerback Trumaine Johnson to the New Orleans Saints for Cooks last offseason. Rams general manager Les Snead told The MMQB's Peter King the Patriots trumped their offer for Cooks last offseason. "At that time, we didn't have a first-round pick and New England did, and that made all the difference," Snead told King. "We discussed [cornerback] Trumaine Johnson with New Orleans, but we could not trump New England's one." The genius of Bill Belichick was on display in his moves with Cooks. First, New England ships the No. 32 overall pick for the wideout in 2017. The Patriots milk a productive, 1,082-yard, seven-TD season out of the speedster still on his rookie deal. Then Belichick flips Cooks for a higher first-round pick the next season when it became obvious he wasn't going to pay the receiver's asking price on a long-term deal. For the Rams, Rapoport reported they believe Cooks offers more of an impact player than they could have drafted with the No. 23 pick. For the deal to make sense for L.A., Snead needs to lock down Cooks long term. The receiver, however, has just been handed a boatload of leverage and could wait out the Rams or push for a top-shelf deal that would make him one of the highest-paid at his position. Brandin Cooks is headed cross-country to the Los Angeles Rams! Take a look at these mind-boggling stats from Cooks' career and what that means for Los Angeles' offense.